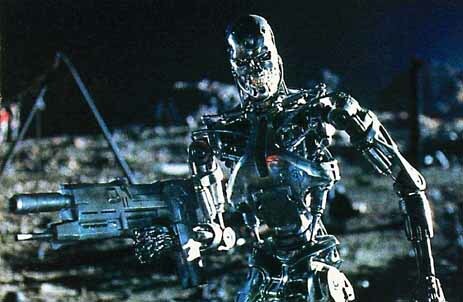 The rights to Terminator got settled recently with Pacificor taking the cyborgs by the horns. What Terminator fans want to know now is what comes next for the Terminator universe. I think Wisher has done a terrific job with a plot that accepts the storylines from Jonathan Mostow’s Terminator 3: Rise of the Machines and McG’s Terminator: Salvation. Most interestingly, he turns the story back to the core characters and time travel storyline of the first two films that Wisher crafted with Cameron. Wisher presents a satisfying conclusion to what by then would be a 6-picture struggle between Skynet’s machines and John and Sarah Connor to preserve a future that allows mankind to prevail over the machines. None of this may come to pass but ow good does all that sound. I want to see those movies right now. Hollywood are you listening to me? Get it sorted – I have spoken. What do you think about Wisher’s ideas for 5 and 6? This entry was posted on February 12, 2010 at 2:20 pm	and is filed under Film. Tagged: Arnold Schwarzenegger, James Cameron, Jonathan Mostow, Linda Hamilton, McG, news, rumour, Terminator, Terminator 5, Terminator Salvation, William Wisher. You can follow any responses to this entry through the RSS 2.0 feed. You can leave a response, or trackback from your own site. I want see good Cyborgs in the movie. I like the idea of the shape shifters and the robots with pistols on their wrists.